Are you one of those people who really doesn’t feel comfortable when typing on the virtual keyboard of iPad, and desire for the real physical keyboard like the one on the laptop? 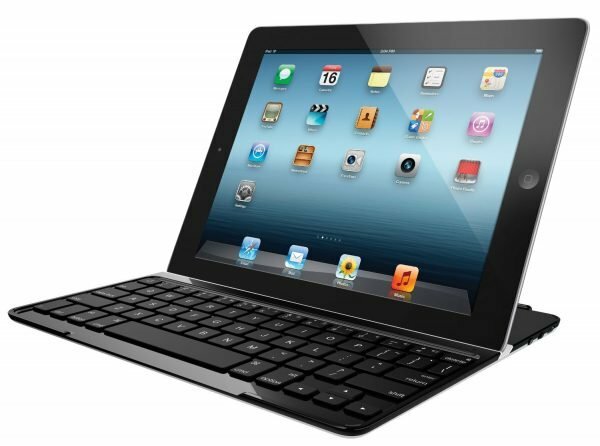 Don’t worry as there are many companies that create keyboards for iPad, and there are many great ones, that’s for sure. We had to narrow down the list a bit, so in this article, we will share best keyboards for better typing experience with iPad. Tablets have revolutionized the way we access and use content in the last few decades. The portability, performance capability and usability features that come with tablets have allowed millions of people to create access and share content unlike anything before. For a long time Apple has dominated the tablet market with the iPad and as years passed, it has stood the test of time as one of the most popular and quality brands out there. However, one thing that all tablets lack is a physical keyboard. Typing on the screen is very different from typing on a real keyboard. It’s not as intuitive or convenient and can make typing a dreadful experience to look forward to. Moreover, if you use your iPad for work you need a keyboard. To fix this issue, the market has 2 types of solutions, namely standalone keyboards and keyboard cases. 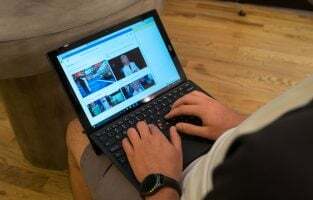 The official Smart Keyboard literally turned the tablet into a laptop alternative when it released. Ever since then, a whole new subset of the tablet industry emerged as numerous third-party manufacturers started developing new products in this space. As time went by, a variety of interesting concepts came into being, such as a remote keyboard, a foldable one and even one you can project on to a surface. A standalone keyboard basically comes as a keyboard and a USB cable. There are different types of standalone products in the market ranging from cheap low-quality ones to expensive but high-quality ones. While it technically solves the problem of typing on an iPad, it isn’t as convenient or feature-filled as a keyboard case. Keyboard cases serve two purposes at the same time. It can be used as a keyboard and at the same time, it acts as an additional platform on which you can hold and view your device. Some allow you to just fold the case and use the tablet as a laptop and others allow you to rotate the tablet to varying degrees. The latter lets you transform your iPad into a mini gaming, browsing, viewing or typing station depending on the angle you set the tablet at. Just like every other product, there are great quality ones and bad ones in the market. Here are some of the best keyboards for better typing experience with iPad. The KuGi iPad pro 10.5 comes with a detachable Bluetooth v3.0 keyboard, a keyboard case build, special function buttons and a 350 mAh battery. 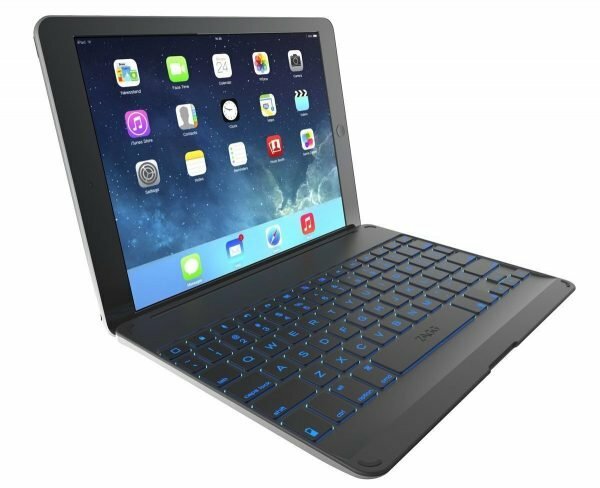 This keyboard case is made exclusively for the iPad 10.5 so you can’t use it for other models. Lugging the iPad everywhere is frustrating enough and the last thing you want is to wear your arms out trying to hold it for hours. With the KuGi iPad 10.5 pro case, you can just set it on the case and enjoy your favorite content in peace. It also comes with an Apple Pencil Slot on the top which is convenient if you use it. You don’t have to worry anymore about where you left your pencil. 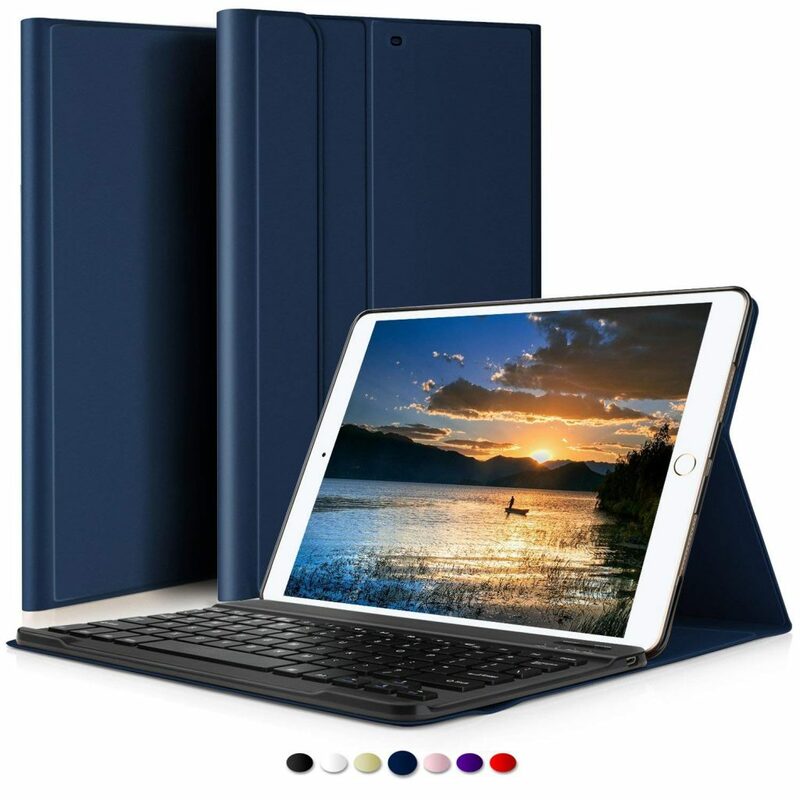 As it is an affordable option, the KuGi iPad 10.5 pro case uses Bluetooth and not Smart Connector. So you will have to charge up your device from time to time. However, all in all, this one is one of the best affordable cases you can get for the iPad 10.5. It’s very affordable making it an ideal case to buy and try, unlike the expensive ones. It comes with an Apple pencil slot which is convenient if you use it a lot. It successfully protects the front and back of your device. Made exclusively for the iPad 10.5. It comes with a decent sized keyboard that’s the right size for traveling and usability. The Logitech Slim Combo iPad Pro case comes with a detachable keyboard with backlit keys, Apple smart connector, iOS shortcuts, Apple pencil holder and a kick-back stand with 50 degrees of tilt angles. It is only compatible with the iPad 10.5 Pro. This product essentially turns your iPad into a small laptop allowing you to place it comfortably for optimum viewing and usability. You can tilt the device up to a range of 50 degrees allowing you to view it at the angle you desire. The case is also perfect for video chatting such as FaceTime as you can set your iPad upright. What’s great about this device is that you don’t ever have to worry about charging it. In a lot of keyboard case,s you need to charge them as they use Bluetooth for connecting to the iPad. The Logitech Slim Combo iPad Pro case, however, uses Apple smart connector which allows it to get power directly from the device. Basically, it takes about 0.3-2.3 percent of the device battery for an hour’s worth of typing. 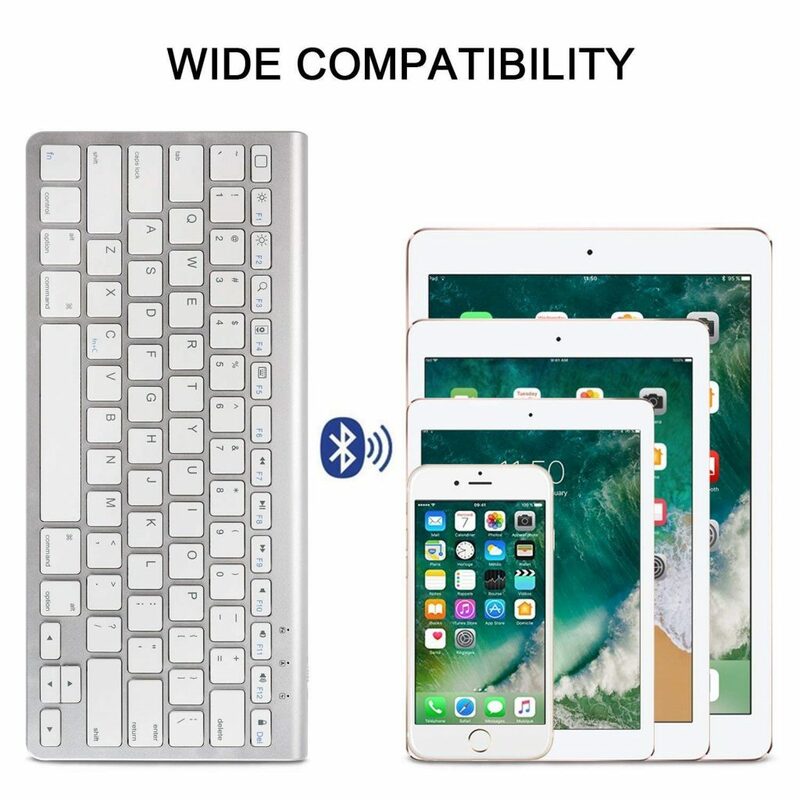 You don’t even need to connect it via Bluetooth. All you need to do is start typing and the keyboard will start drawing power automatically. All in all, this is a great product to have if you are looking for a handy keyboard case for your iPad Pro 10.5. It’s slightly expensive but well worth the price. 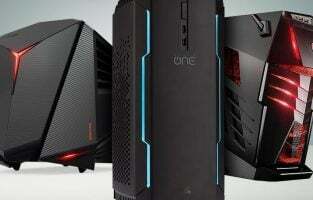 The build quality of the case is very good and so you can expect it to last for a long time. The smart connector allows it to automatically take power from the iPad and so you don’t have to charge the case at all. The shortcut buttons on the side allow you to access different functions easily and conveniently. The backlit keyboard is durable and provides a great typing experience. The Apple Smart Keyboard is a single keyboard that can be connected to your iPad Pro 10.5 for typing more comfortably and conveniently. 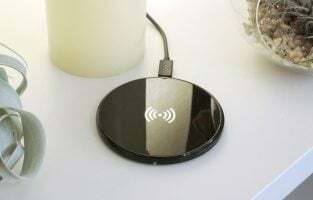 It utilizes the Apple Smart Connector and so can be used without any external charging. If you are a huge Apple fan, then this product is, of course, the best option out there. However, it is a bit expensive, especially since all you get is a keyboard and a stationary stand. 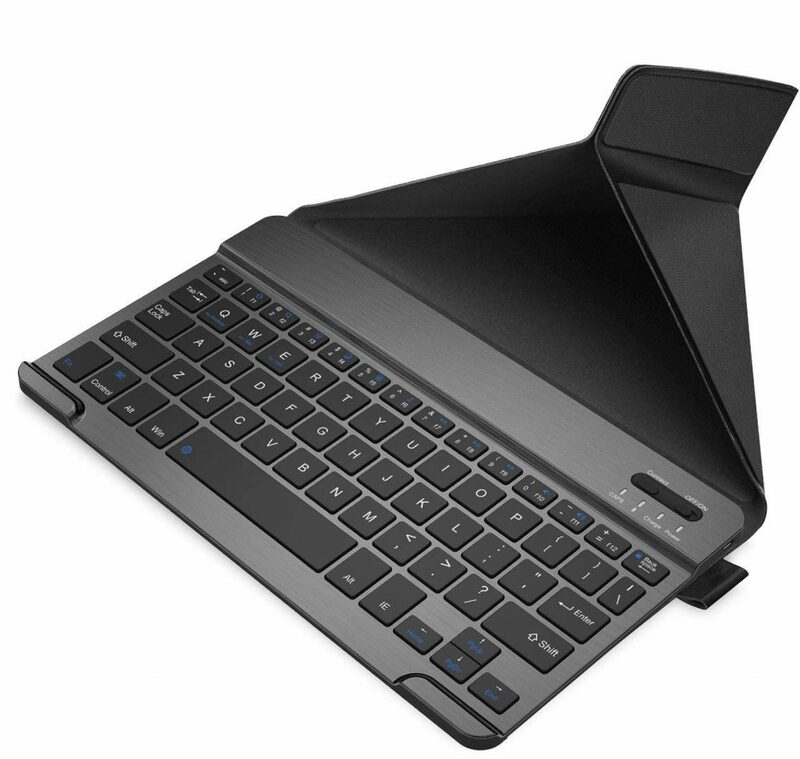 Other products give you a keyboard, as well as a rotatable stand for less than what the Apple Keyboard costs for. It’s not that big of a deal but you do feel a little hesitant when you get less functionality for more money. 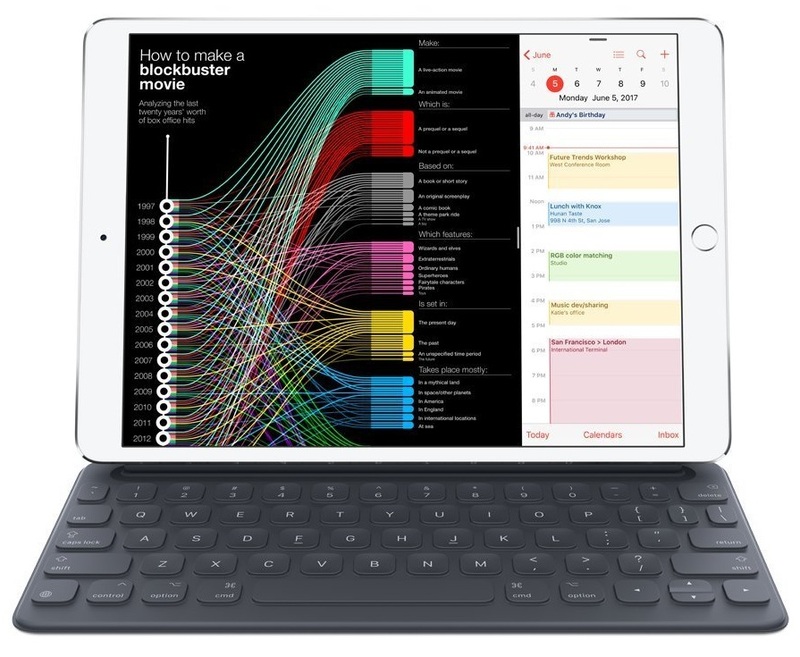 All in all the Apple Smart Keyboard is a slim keyboard for the iPad Pro 10.5 that is powered by the Smart Connector allowing you to use it whenever you want. The keyboard comes with great build quality allowing you to have a great and convenient typing experience. The slim design of the product allows you to easily take it wherever you go. No external charging is required, as it is powered by the Apple Smart Connector. The design looks pretty cool and synergizes with the iPad very well as it is an Apple made product. The FYY iPad Pro 12.9 case comes with a magnetic wireless Bluetooth keyboard and a note holder pocket for extra convenience. What makes the FYY keyboard case so special is that it is one of the most affordable keyboard cases for the iPad Pro 12.9. It also comes with a magnetic keyboard, powered by Bluetooth. The built-in magnetic strips allow you to snap it on easily and conveniently. The case also comes with a slot for keeping sim cards, memory sticks, business cards, credit cards etc. This is pretty handy to have if you are on the go a lot. 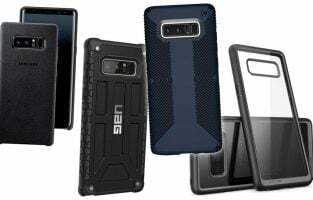 Most other cases don’t come with any additional pockets for storage, so it’s a nice additional functionality for the product. Moreover, it also comes with a note holder which you can use to carry any notes you may have with you as you travel with your iPad. The keyboard case comes in different colors allowing you to play around with the look and feel of your device when travelling. It comes with a number of slots where you can keep various items ranging from small bills to credit cards and many more. The note holder slot is pretty to convenient to have especially if you work a lot on your iPad. The magnetic strips allow you to snap the device on and off fairly easily. 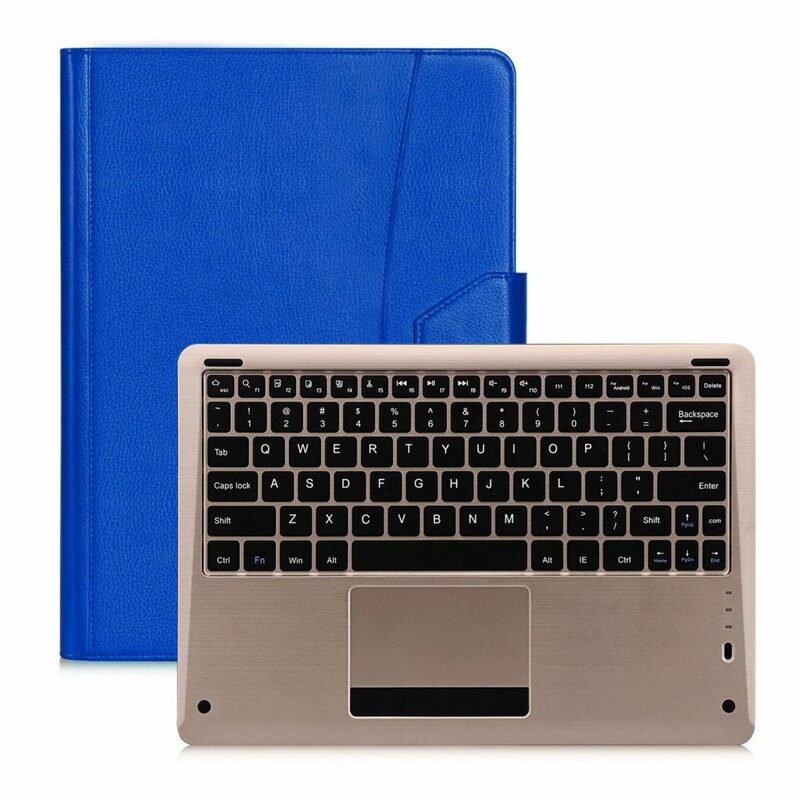 The YEKBEE keyboard case is one the best rotatable keyboard case for the iPad and comes with a stylish exterior body, 360-degree rotatability, an auto sleep/wake feature and an LED lighted keyboard. It is compatible with the 2019 iPad 6 (A1893-A1954) 2017 iPad 5 (A1822-A1823) iPad Pro 9.7 (A1675-A1674-A1673) iPad Air 2 (A1566-A1567) and Air (A1474-A1475). The ultra slim design of the body makes it very easy to carry around, with your device firmly inserted in it. The spacious keyboard makes typing a delightful tactile experience. The LED lit keyboard also comes with an external USB charger cable for a secure Wi-Fi connection whenever you require. What makes this product so great is the 360 rotatable functionality that allows you to control the viewing experience as per your preferences. The hinge allows you to use the tablet in 5 different modes based on the position you set for the device. 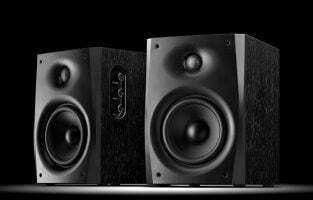 The 5 modes are presentation, gaming, laptop, video and book mode. The product comes with a 360-degree hinge that allows you to use the tablet in different ways based on the way you use the hinge. The case has excellent build quality and durability to keep your iPad safe and firm. It is compatible with a number of different iPad models. The 1.5 mm key travel makes for an excellent responsive typing experience, very similar to the one you get from a laptop. 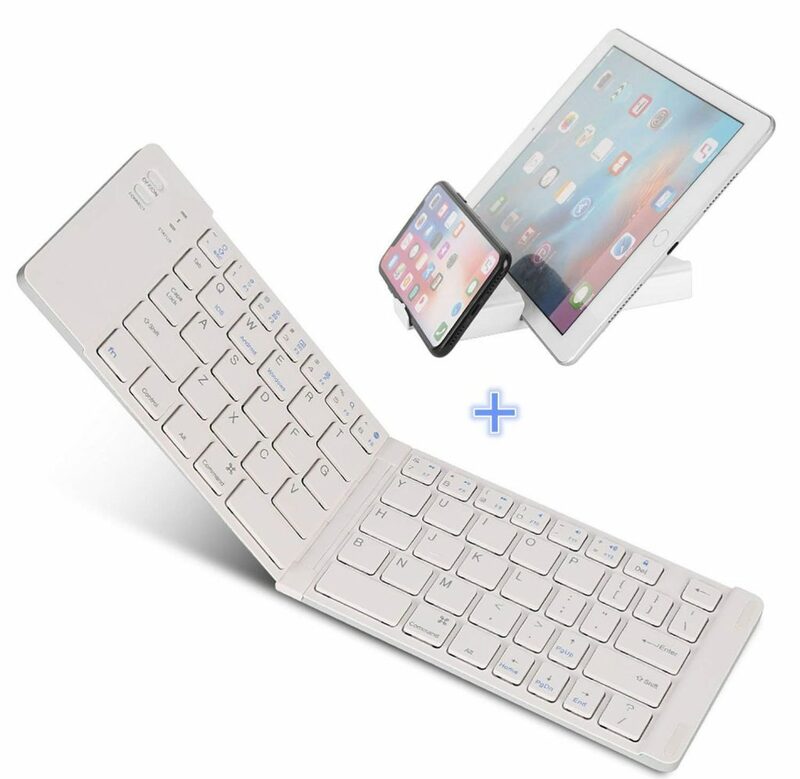 The Nulaxy KM12 Bluetooth keyboard is a very unique and great product that comes with an ultra-thin body, energy saving feature, a leather foldable cover and a universal Bluetooth keyboard. The first thing that strikes your eye is the very unique design of the product. It’s unlike anything you can find on the market with its edgy, aggressive, foldable design. The keyboard comes with a spacious layout and full-sized keys designed for optimum typing experience. At the same time, the design of the body makes it extremely easy to carry around. It comes with a top flap that you can flip over to use as a front cover or you can set it up right to set up your iPad as a laptop. The low power consumption requirement of this product is another great feature. Charging for 4 hours will allow you to use the keyboard for 60 days’ worth of typing which is pretty great. This is thanks to the 200 mAh Lithium battery, which lasts for about 3 years. Another great aspect of this product is that it is compatible with not only iPad tablets but also Android and Windows devices. As far as the iPads are concerned, you can use the iPad 3/2/1, iPad Pro, iPad Mini 4/3/2/1 and iPad 4/3/2 with this product. All in all a great versatile product that is affordable and valued, unlike any other product on the market. It has a great design and its one of the most compact products on the market, making it one of the best cases to travel with. The flap design allows you to either use it as the front cover for when you want to carry the device around or to keep the device upright. It is compatible with not only different iPad models but also Android and Windows’ devices. It takes very less power to function, making it one of the best energy efficient products in this category. The IKOS foldable keyboard comes with an ultra-slim expandable keyboard with Bluetooth, 110 mAh battery and a multi-functional stand. There are a lot of portable keyboards for tablets on the market but the IKOS foldable keyboard stands out due to its ultra compatibility. You can fold the keyboard down to a size smaller than an iPhone 6 Plus. When it is folded, the size of the IKOS keyboard is 4.33”*5.12”*0.47”, which is considerably small. You can even fit them in your pocket and take it along with you wherever you go. The foldable aspect of this product makes it extremely efficient for traveling and business purposes. Once it is folded it doubles as a stand for your iPad as the stand slides out. Once you pull it out and use it as a keyboard, you will find a full sized firm and responsive keys for your typing pleasure. This product is also compatible with a variety of Apple products, as well as others. As far as Apple products are concerned, you can use it on your iPad, iPad Mini, iPad Pro and the iPhone. The universal keys on the keyboard allow you to use it with Windows and Android devices too. It can remember multiple connections and you can remotely use it within a range of 10 meters from your device. 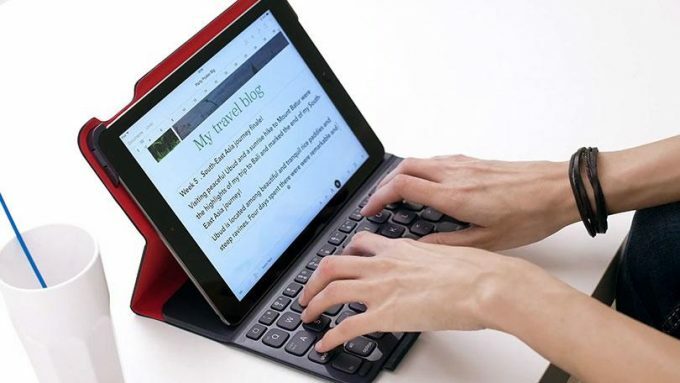 It is one of the most portable products in the keyboard case category for iPads due to its foldable nature. You can use it remotely within a range of 10 meters from your iPad making it very convenient to use. It is compatible with Apple, Windows and Android devices providing great versatility as a keyboard case. It can remember multiple connections and you can tap into the required one by simply toggling between slots 1,2 or 3. The OMOTON Ultra-Slim Bluetooth keyboard comes with a QWERTY layout, buttons for volume, music, brightness etc. and a sliding stand for converting your iPad into a mini laptop. This product is compatible with the Apple new iPad 2019, iPad 9.7 inch (2017), Apple iPad Pro 12.9″ / 10.5″ / 9.7″, iPad Air 2/Air, iPad mini 4/ 3/ 2/ 1, iPad 2, iPad 3, iPad 4, iPhone 7/ 7Plus, iPhone 6S/ 6S Plus/ 5S and 4S. So it does have a very wide range of applications if you have various Apple products. This one is just big enough to type comfortably without overlapping your fingers and small enough to carry it around when you travel. The slim design really helps out a lot, especially if you are someone who travels a lot and who takes their gadgets along when they do. You can convert the keyboard into a stand with three simple steps. First, you need to pull the sliding part under the bottom top of the keyboard. Then, simply open up the flap at the end after you pull it out. Take your device and place it against the flap you just opened and you are good to go. It’s that easy. When it comes to products that have sliding parts, you may have doubts regarding the longevity of the device. These sliding parts often come loose after you use it for a bit, but the OMOTON Ultra Slim Keyboard is built to be durable and withstand intensive use. This doesn’t mean you can abuse it and expect it to work. Caution as always is necessary when handling mechanical products. 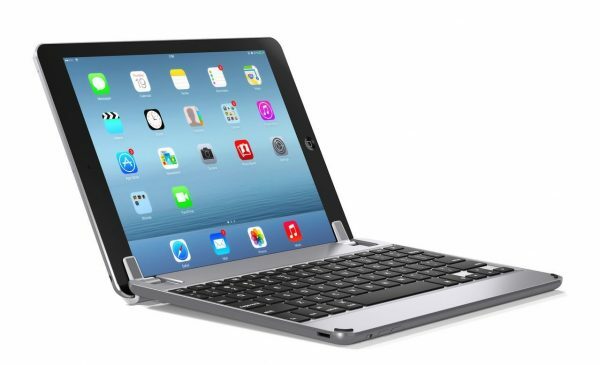 The sliding features make it very easy to go from a keyboard to a stand for your iPad. You can use it remotely within a range of 33 feet from your iPad which is pretty convenient to have. 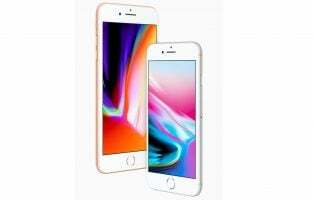 It is compatible with a wide array of Apple products making it ideal if you have multiple Apple products ranging from phones to tablets. The keyboard comes with 78 keys in total, which includes 13 iPad Hot Keys making it easier for you to access functions on your device. With aluminum material and 3 different colors which represent the new MacBook colors (silver, gold, and space gray) make BrydgeAir keyboard has a plus point besides its simple yet classy design. Its hinge will grip your iPad instantly, securely and turn your iPad Air into a laptop. 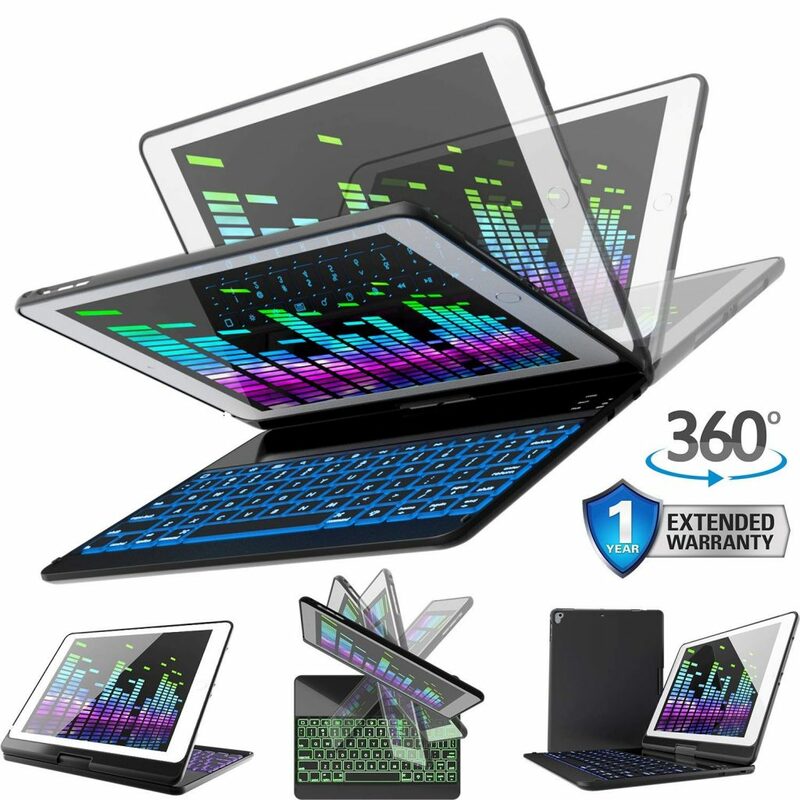 Moreover, its hinge allows you to move the angle in 180 degrees like a laptop. Dual speakers on the back give a nice sounds experience and backlit keys will provide typing experience in dark and light conditions. 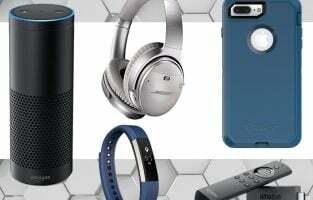 It has up to 3 months of battery life, depending on speakers and backlit keys usage. It will not only give you a better typing experience with your iPad Air but also an elegant style as well as the new MacBook with its colors. With only 6.3 mm of thickness, they claimed that the cover is 14% smaller than its competitors. With its unique hinge design allows you to position iPad 135 degree. The battery life can be used up to 3 months in normal use and it also has backlit keys which can be set in arrays colors and brightness to give you a better typing experience with iPad. When you want to use your iPad back in a reading mode or tablet-style you can just flip your iPad screen around without taking the keyboard, so simple. The combination between super-thin keyboard, clever design, and features of Zagg cover will give you more than a better typing experience on iPad. It’s your iPad Air mate. Welcome to the future! 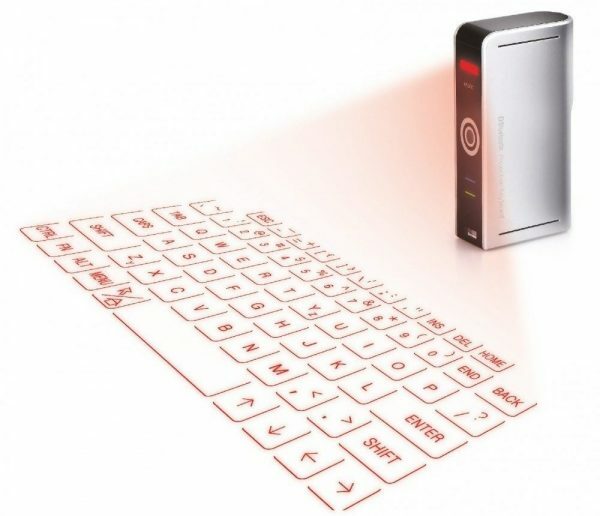 Celluon is a futuristic laser projection keyboard. if you want to feel not only a better typing experience but also a new experience in typing on your iPad, you should try Celluon Epic keyboard. It’s not only futuristic but also easy to be carried because of its small size, you can hold the all its body by only one hand. You can put it in your handbag with your iPad, and take it out whenever you need the keyboard to type. It’s a cool, futuristic and dazzling gadget. You can get this stuff for $169 but maybe you can get the cheaper price on the online store like Amazon, eBay and so on. 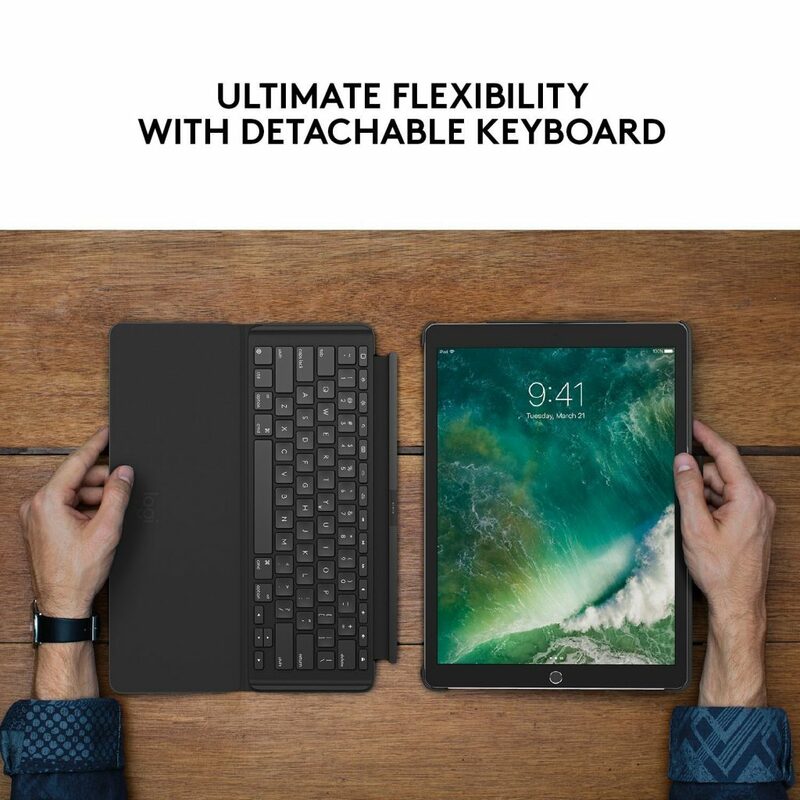 Logitech Ultrathin Keyboard Cover is specially designed for iPad Air Built-in Bluetooth keyboard with full-size keys and iOS shortcuts for fast, fluid typing. With a thin profile and made of light aluminum which is useful as a screen cover. It’s also provided by powerful magnetic clips wherein the cover and iPad stay perfectly aligned and securely closed when you are on the go, very convenience. furthermore, there’s an auto wake/sleep feature: automatically wakes your iPad when you open the cover and puts it to sleep when closed the keyboard. It also a sturdy iPad stand wherein a magnetic groove holds iPad upright at the ideal angle for typing and interacting with a touchscreen. When it comes to buying high-quality products, the first thing you need to do is figure out the reason why you are looking for a portable keyboard. Are you looking for a keyboard for casual use at home or are you looking for one that will help you in your professional work? Do you travel often and if so, do you want a keyboard case that doubles as a cover or just a compact keyboard? Once you have identified your root purpose, then you need to decide on a budget. These keyboards usually don’t come at exorbitant prices, but they are usually in the range of $15 to $150 and above. The final step is to do proper research. Never rush into buying anything. Take your time and check out your different options. The general rule of thumb is to go for the products that have not only great reviews but also very positive customer testimonials. However, there are many hidden gems in the market today that don’t get the recognition they deserve because they aren’t marketed as well as some of the popular ones. You can find them out by browsing online stores and checking out various reviews online. If you do your proper research and figure out the general capability of a product as far as technology and features are concerned, you can easily find the right keyboard for your iPad. iPads are awesome, but if you want to take the experience to a whole new level, you may consider buying a keyboard for it. That way, you will finish your tasks easier, and you will be more efficient. As you know, there are so many keyboards out there. That’s why we narrowed down a list. What you have here are some of the best keyboards for better typing experience with iPad that you can buy right now.